This study-abroad experience contains a diverse offering of educational activities and excursions taking place over two weeks in Beijing, Hangzhou and Shanghai. Students will have the opportunity to attend lectures on Chinese history and culture, US-China relations, and China’s economic development. They will also participate in cultural activities such as a tour of the Summer Palace and the Great Wall, a visit to the Xixi Wetland Museum, workshops on Chinese painting and Chinese culinary art, and much more. The final program itinerary will be distributed during the scholars’ orientation session in Washington, DC. 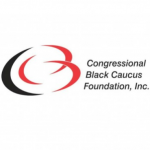 Two chaperons approved by the CBCF will accompany each cohort throughout their travels and will serve as the students’ primary supervisors and points of contact.